'A' Grade Paper Rolls are a standard paper roll that requires ink to create the image, this type of roll is more commonly used in older models of Cash Registers and Printers. The ink is usually in the form of a model specific roller or ribbon that sits inside the machine and either runs against the paper or is struck against the paper to create an image. 'A' Grade Rolls There are 8 products. 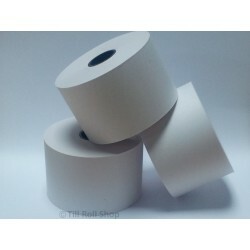 This listing is for a box of 37mm x 70mm a-grade paper till rolls. The box contains 40 rolls. Next working day delivery is provided via Interlink Couriers and a VAT invoice will be enclosed with your order. 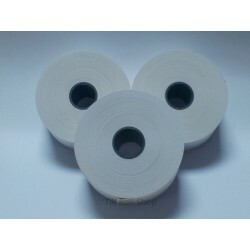 This listing is for a box of 37mm x 80mm a-grade paper till rolls. The box contains 40 rolls. Next working day delivery is provided via Interlink Couriers and a VAT invoice will be enclosed with your order. 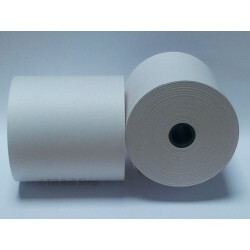 This listing is for a box of 44mm x 70mm a-grade paper till rolls. The box contains 40 rolls. Next working day delivery is provided via Interlink Couriers and a VAT invoice will be enclosed with your order. 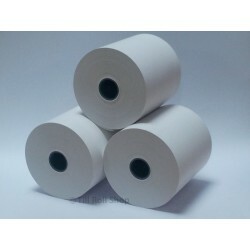 This listing is for a box of 44mm x 80mm a-grade paper till rolls. The box contains 40 rolls. Next working day delivery is provided via Interlink Couriers and a VAT invoice will be enclosed with your order. 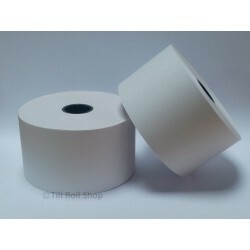 This listing is for a box of 57mm x 57mm a-grade paper till rolls. The box contains 40 rolls. Next working day delivery is provided via Interlink Couriers and a VAT invoice will be enclosed with your order. This listing is for a box of 70mm x 70mm a-grade paper till rolls. The box contains 20 rolls. Next working day delivery is provided via Interlink Couriers and a VAT invoice will be enclosed with your order. This listing is for a box of 76mm x 76mm a-grade paper till rolls. The box contains 20 rolls. Next working day delivery is provided via Interlink Couriers and a VAT invoice will be enclosed with your order. This listing is for a box of 76mm x 76mm 2 ply a-grade paper till rolls. The box contains 20 rolls. Next working day delivery is provided via Interlink Couriers and a VAT invoice will be enclosed with your order.